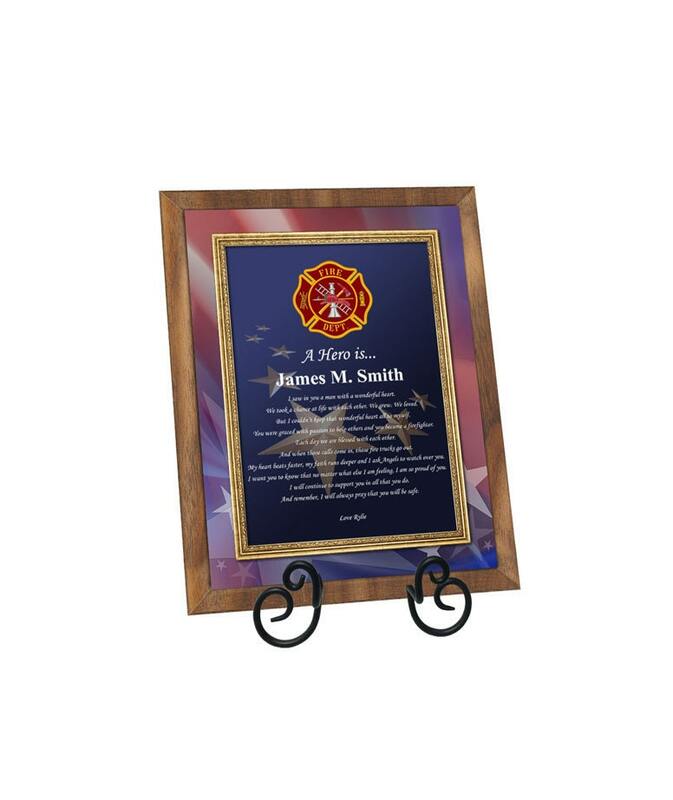 ♥ Choice of Desk or Wall Plaque size 8"x10" or 10"x13"
Select a beautiful personalized firefighter loving gift to celebrate a fire fighter hero boyfriend, husband, son, etc... 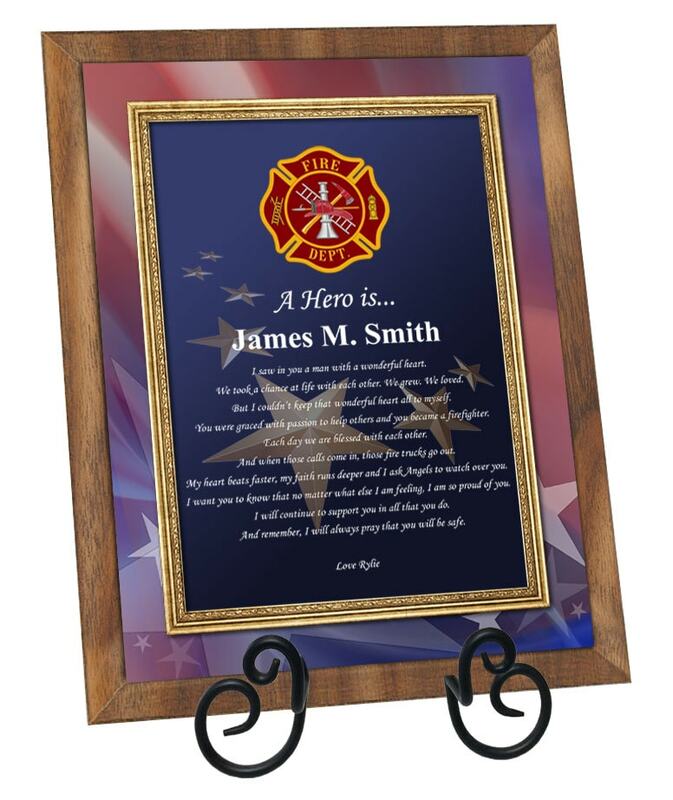 This walnut plaque features a custom heartfelt fireman poem on walnut plaque with iron ornamental easel. 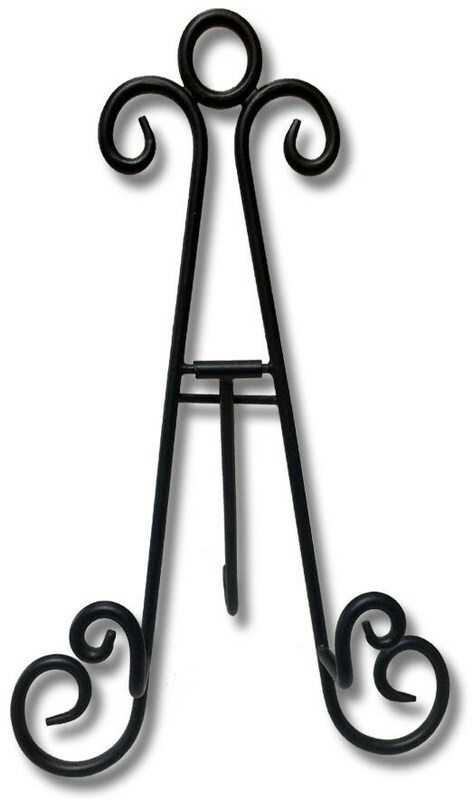 A handsome loving romantic fire gift decor for any setting. 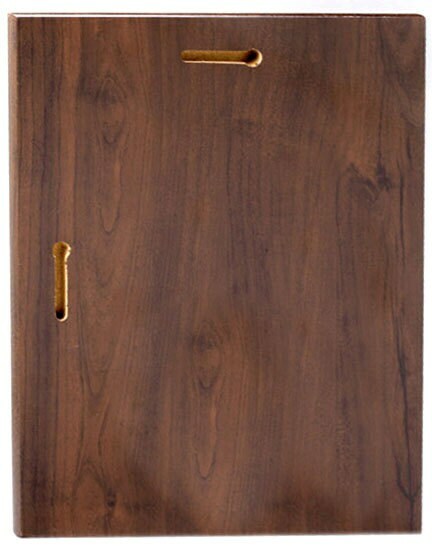 Whether an anniversary or birthday, this personalized poetry plaque gives a feeling of blissfulness and elegance. 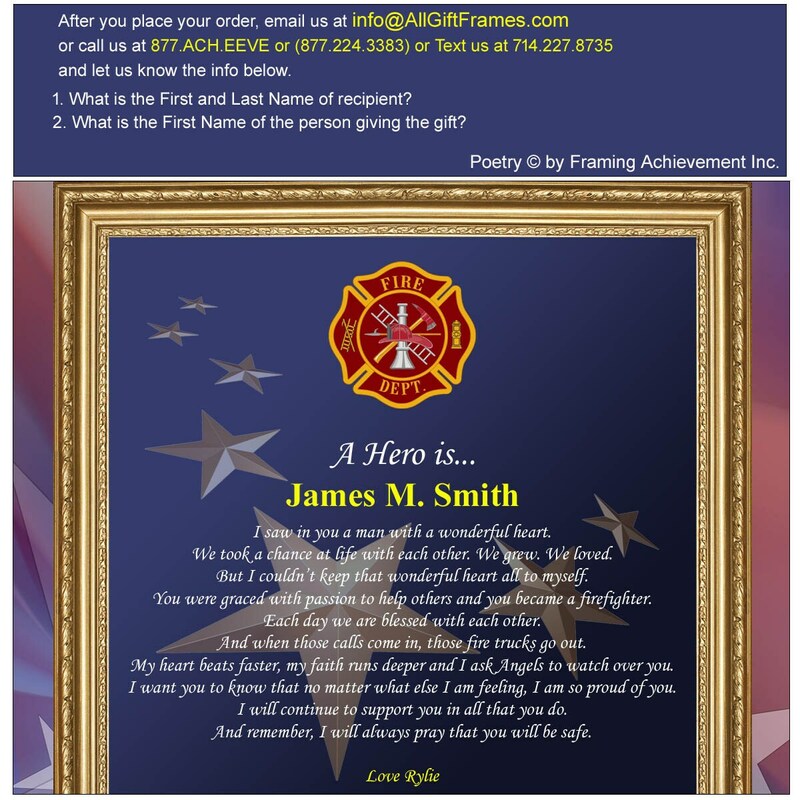 By fusing a firefighter poem into a table desk plaque with a touch of personalization, the end result is a really nice distinctive and unique fireman gift from wife or girlfriend.